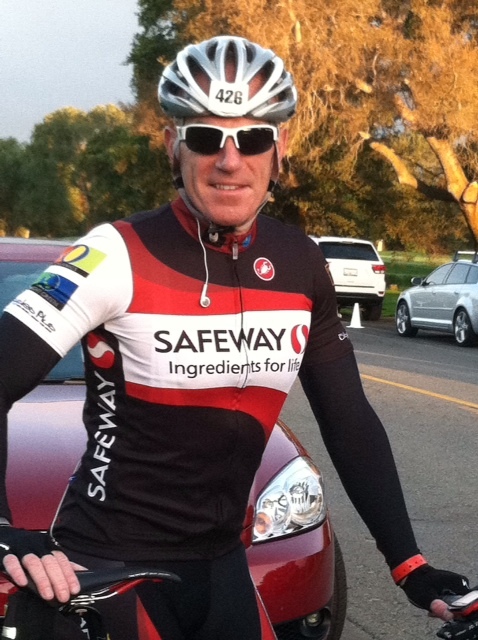 Name: Karl Schroeder City of residence: Walnut Creek, CA Occupation: President – Safeway Northern California How long have you been involved with Best Buddies? I have been fortunate to participate in this great event since 2011. This will be my fourth year supporting Team Maria! What inspired you to join Team Maria? I was inspired to join Team Maria when I heard about the cause of Best Buddies and the terrific leadership Maria and her family have shown. My younger Brother-in-Law, Simon, has Down’s Syndrome and is living a productive happy life surrounded by the tremendous love of our family, but Simon has also faced many serious health challenges along the way. In my own small manner, I ride to honor Simon and others like Simon. I can ride a hundred miles, but Simon is much stronger than I in so many ways. Each year that I participate and see the terrific work Maria and team do for the cause, I find myself looking inward and reflecting on how I can strive to live a more purposeful life… plus I have hours to think about it while riding from Monterey to Hearst Castle!! Why is the Best Buddies program, and its mission, so important? Seeing the support that Best Buddies provides as a result of the focus of Maria and Anthony’s leadership reinforces the attention on the needs of so many individuals and their families. The program especially highlights the participants and the benefits they receive by gaining an opportunity to live a productive and enriched life through mentorship. What motivates you to participate in the Best Buddies Challenge: Hearst Castle? At Safeway, we are proud of the thousands of developmentally challenged employees we work with every day in our stores across North America. Having the opportunity to support organizations like Best Buddies that do such a great job providing growth opportunities for individuals with a need fits perfectly with our mission to give back to the communities we serve, especially Northern California.